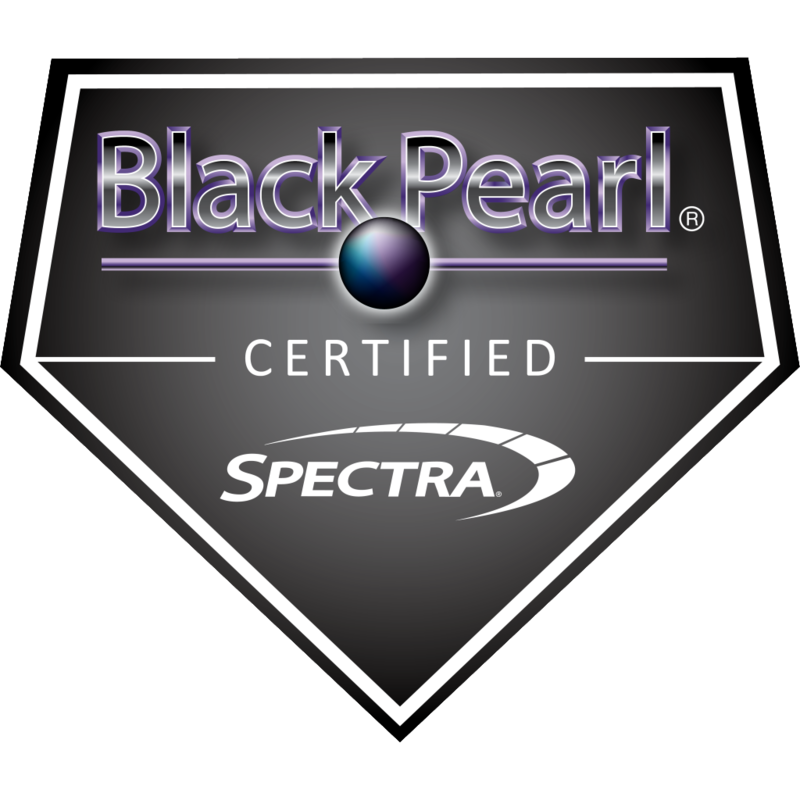 Find out more about Spectra Logic here. 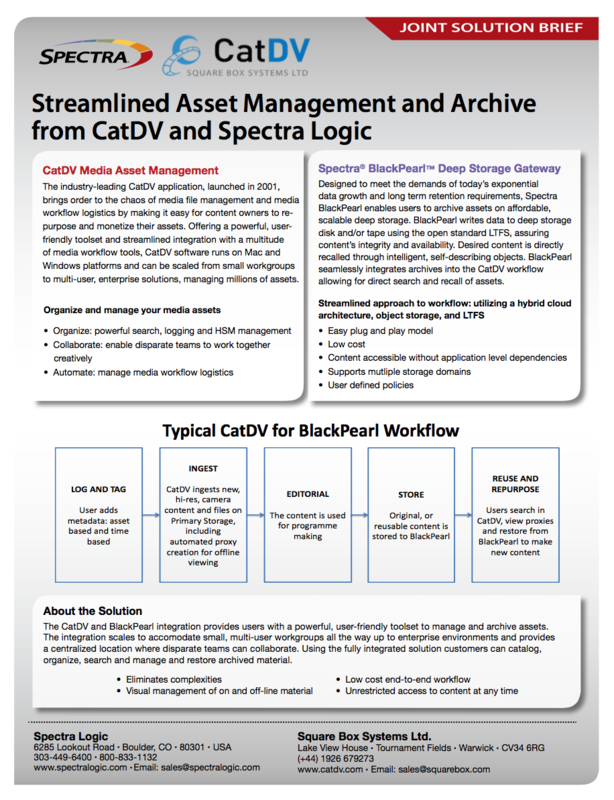 CatDV with Spectra Logic’s BlackPearl Deep Storage Gateway enables users to move content seamlessly from the CatDV MAM server to BlackPearl for long-term storage and archiving. With the new integration, users are able to copy content directly to the BlackPearl long-term storage system or restore it from BlackPearl using CatDV’s Web and desktop user interfaces — and they can clear space on their local storage drives by archiving content to BlackPearl. The integration replaces an inefficient and error-prone manual process that failed to preserve content tagging. 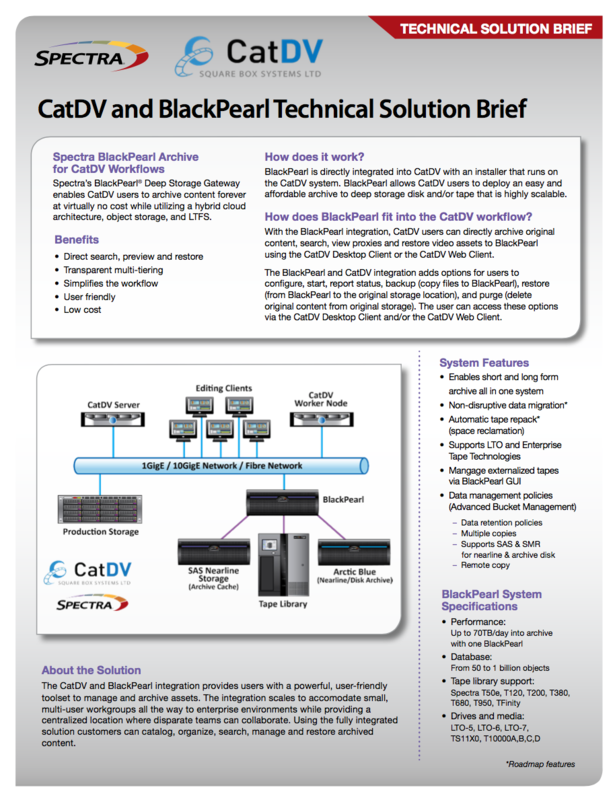 Our online S3 plug in manual walks through installation, set up and use of the CatDV S3 archiving to Black Pearl plugin. Click here.